OH, and they could potentially lose their kicker, too, as Stephen Gostkowski still remains a free agent. Now, it might be a bit misleading to say they “lost” each of these players; many presumed that guys like Brown and Flowers would be too pricey for the Pats to keep, and the team was likely preparing to move on from them anyway. However, the news of Gronk’s retirement certainly wasn’t ideal, and we know the team already swung and missed on multiple free agents or guys on the trade block so far as well (e.g. Antonio Brown, Adam Humphries, Cole Beasley, etc.). MAN, this dude would’ve looked good rockin’ the Flying Elvis. Look, I’ve been a die-hard Pats fan for almost two decades now, and Bill always finds a way to build a competitive roster, no matter what. But this offseason saw the team take some pretty big hits, and besides Julian Edelman and a solid running game, the team’s offense is pretty barren. Love ya, bud, but you couldn’t have said something in February??? OK. This one seems almost too easy. After losing arguably the greatest tight end to ever play the game, it should be pretty obvious that attempting to replace him would be at the top of the team’s priority list. Some, though, might say that trying to find a replacement for Gronk perhaps shouldn’t be the main focus; he’s a generational talent, and rarely has a team ever had someone so dominant and game-changing at the position. Rather than trying to replicate what they had with him, maybe they should focus on improving other areas of the offense, as they’ll never again find another Robert James Gronkowski. Again, while they’ll never find another Gronk, the position has always been a huge part of the team’s offense. Not only have over 20 percent of the team’s total targets gone to guys playing tight end over the past five seasons, but the running game has also relied upon some great blocking from the position, too. For as much as people think of Gronk as a receiver, he was also one the game’s elite blockers, regardless of position. The team also cut Dwayne Allen this offseason, who was another great guy to have up front. Especially with the investment the team has made in the future of its rushing attack, in addition to the lackluster receiving group, something else really needs to be added here this offseason. WOW, MATTES! Way to go out on a limb. I know, I know. 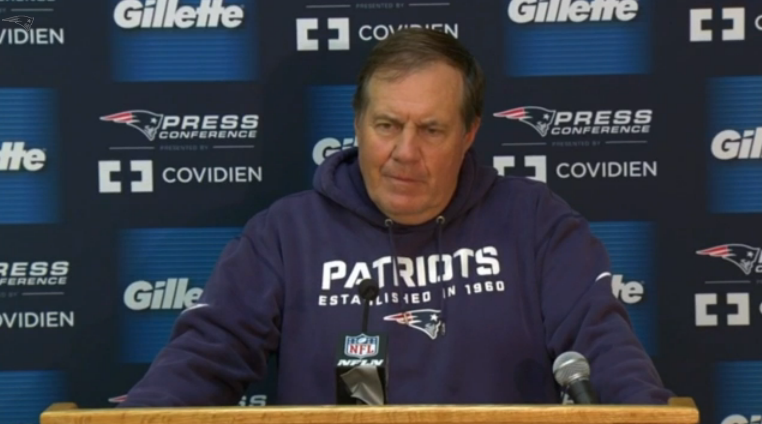 Even the most casual Patriots fan knows the team needs some serious help at receiver. But it still doesn’t change the fact it’s one of their top needs, SO BACK OFF. Anyway, while Edelman is still playing at the top of his game, the only other somewhat reliable receiver the team has right now is Phillip Dorsett. Josh Gordon is still under contract, and he was terrific during his time on the field last season. But, while he could potentially play for the team in 2019, who the hell really knows what’s going to end up happening with that guy? The team also recently signed journeyman Bruce Ellington as well as a guy with some sneaky potential in Maurice Harris. But, in reality, Edelman and Dorsett are the team’s top receivers for 2019 so far. Yikes. Looks like Jules is going to have to be THE man again in 2019. Fortunately, there is a lot of talent at wide receiver (and tight end) in this year’s draft, so the team could choose to pounce on someone in the early rounds. But, Belichick’s never really been too successful going that route, and I’d still like to see them bring in another veteran guy on a cheap flyer (again, Crabtree??) or via trade. Brady is in desperate need of some more weapons. 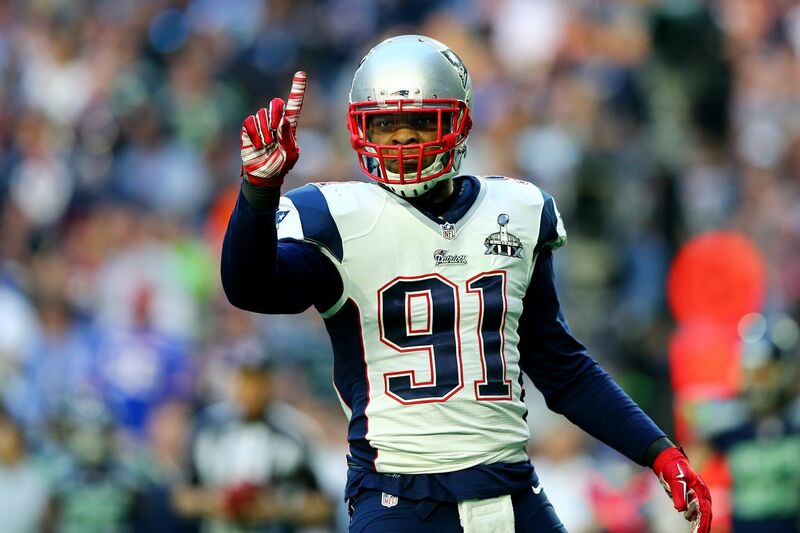 Here is a position that is being overlooked by Patriots fans this offseason. I don’t think people realize how weak the team was at times over the middle of the defense in 2018. And, to be honest, if we didn’t have such a stellar secondary to clean up the mistakes of those in front of them, it could’ve been worse. While some might think I get on Kyle Van Noy too much, I want everyone to know that I do realize his value as a pass-rusher/edge defender. He stepped up big time, especially in the playoffs, and he is a key piece on D. I’m not denying that. However, neither he nor Dont’a Hightower (who continues to look older and older with each passing snap) could cover a blind paraplegic stuck in molasses if their life depended on it. Not only did the team give up the ninth-most receiving yards to the running back position last season, but in the playoffs both of these guys also allowed almost SEVENTY PERCENT of the targets thrown their way to be completed. WOOF. Van Noy giveth, and Van Noy taketh away. And there’s also the fact that Van Noy and Hightower are literally the only two linebackers who played significant snaps last season. Elandon Roberts has been all but forgotten. And while I am intrigued by second-year man Ja’Whuan Bentley – who showed a lot of promise before losing most of last season due to injury – we still need another guy, specifically one with some speed. Regardless of how you feel about anyone in the team’s current linebacking corps, there’s no doubt that the depth here is super thin. Again, here’s what seems like another pretty obvious choice, but I’m not highlighting the position solely due to the loss of Trent Brown. After all, the team did spend a first-round pick on a guy last year, Isaiah Wynn, whom is expected to take over and slide right into the left tackle spot this season. And they still have a steady-but-declining Marcus Cannon on the right side as well. Pretty much, the starters are set. But behind that, there’s really not much. After losing swing tackle Cameron Fleming to Dallas in free agency before last season, the Pats then lost LaAdrian Waddle as a free agent to Buffalo this offseason. Waddle, while not a stud by any means, is a guy who played in 30 games (starting seven of them) for the team since 2016, filling in at both tackle spots whenever needed. (He wasn’t spectacular, but he was a solid, reliable guy who knew the system nonetheless.) So, in reality, the team is down two of its top four tackles from last season. 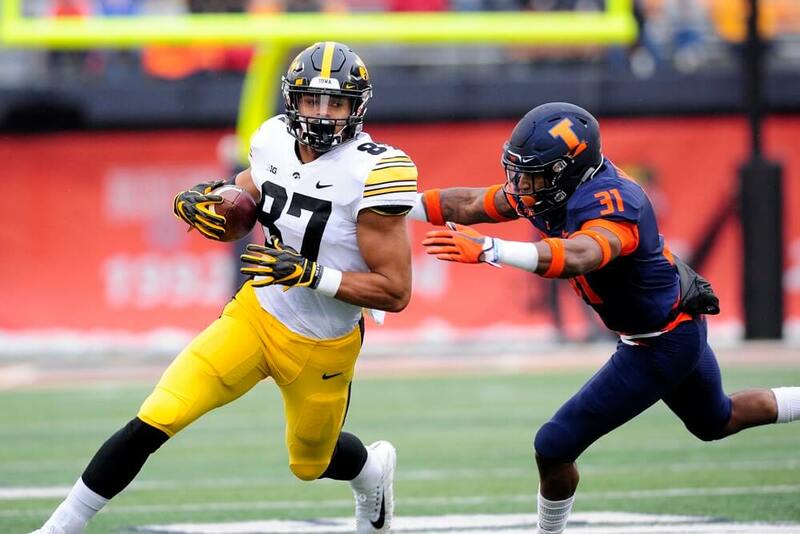 They did just go out and sign some guy named Cedrick Lang this week – who was drafted in 2016 and has yet to see an NFL snap – and there’s some who really believe in third-year man Cole Croston. Still, though, I’d like to see another solid tackle added within the first couple rounds this April, especially in a draft that is so deep at the position. I don’t know anything about this Lang guy. But I guess a 26-year-old, 6’7″, 300-pounder is never a bad thing to have. What do you think, Pats Nation? Do you agree with my rankings? Is there another position I overlooked entirely? Be sure to let us know in the comments! This entry was posted in NFL, Patriots and tagged Bill Belichick, Dont'a Hightower, Jamie Collins, Julian Edelman, Kyle Van Noy, New England Patriots, NFL, NFL Free Agency, NFL Offseason, Patriots, Patriots Draft, Patriots Draft Needs, Patriots Draft Preview, Patriots Free Agency, Patriots Free Agent Rumors, Patriots Offseason, Patriots Offseason Needs, Patriots Rumors, Patriots Team Needs, Pats. Bookmark the permalink.